You must have heard it by now: exercising releases chemicals like endorphins and dopamine that act as sedatives in order to lessen the physical pain we feel and also make us have a positive outlook on life and a general state of happiness. In other words, working out makes us feel great, and the better we feel, the better our lives become. According to a study mentioned on BBC.com, music also releases these mood-enhancing chemicals and this is why combining music with exercise has always proven to remarkably enhance results. So let’s take a look at the various ways to achieve these effects by using music as an ally. First thing’s first. Various styles of music might affect everyone differently, but one thing is for sure: a well-made playlist goes a long way. Mixing and matching the songs you love and achieving the right combination could mean the difference between a dynamic workout with effective results and a boring exercising session. However, buying songs can get pretty expensive, especially when you are a motivated individual who loves to get the best possible results each time by switching up what you listen to on a regular basis. So how can you get all the songs you want to incorporate into your daily routine without lightening your wallet? YouTube and other similar online platforms are always kept up to date and feature the most modern, recently released songs, most of them fully available online for your personal enjoyment. You can find anything in terms of music there, from old-school rock songs to techno music or funk, it’s all instantly available as long as you have a good internet connection. But what if you don’t? When you go to the gym or the park, the stability of your connection may change and your plans may get ruined. The best solution to this predicament is to download music from YouTube to mp3, make a playlist on any of your preferred devices and have a great workout without getting stressed out by interruptions or endless loading screens. If you love doing hard-core interval workouts, you know the importance of good timing and rhythm. Pacing yourself is key to achieving maximum results, so why not try to measure your time in song lengths? You can combine this method with the use of a timer, or get rid of this tool altogether. If you know the songs well, you can use them as audible queues to know when to switch and when to rest and you can even use the same technique to liven up your cardio session. You may find that using the same playlist every day is great, or you might tend to notice the fact that in time, you’re getting bored of the songs you once loved. Don’t stick to them if they don’t work for you anymore. Change is an integral part of life, so go with the flow and look for what appeals to you in the moment without thinking too much about it. Sometimes it may even be a musical genre you never even thought to associate with your tastes, but keep an open mind and results will follow. Always have a large group of songs in your collection so as to be able to modify your playlist whenever you feel like it. Music helps to take your focus away from the pain, so get distracted and enjoy listening to music instead of paying attention to your aching body parts. In time, your endurance will increase and you will see the results starting to take shape with what seems like minimal effort. Just like different kinds of movements are performed by using distinct muscles, so does the music influence the speed at which you perform these movements. Choose a fast-paced song for your cardio and a slower, more focused song for your weight training. This is why a good video to mp3 converter is such a great tool to bookmark so as to have at your disposal at any time. You don’t have to worry about the number of songs you download either, whenever you change your mind, you are free to get some new tunes and keep your playlist fresh and motivational. 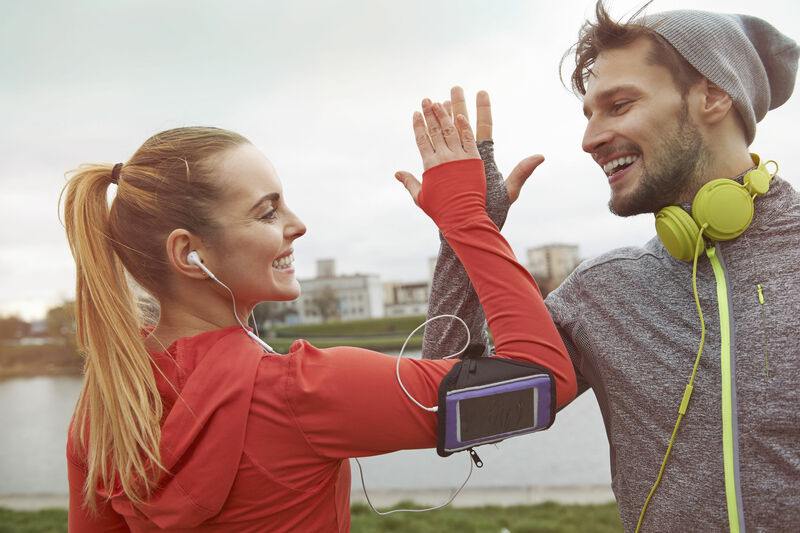 Music is amazing at distracting you from that burning workout pain, but why not try to listen to other things you love during your exercise routine, like audio books or podcasts? Variety is not only great for working out, it can also help boost your creativity levels and improve your overall wellbeing. So try out some different types of audio files and see what influence they might have on your workout regime. All in all, music is a great tool to use to your advantage so as to get the most out of your daily routine, and with such a huge array of available songs online for you to download and enjoy, there’s nothing stopping you from achieving your goals. Who knows, it might inspire you to even greater things you never thought about before, so get out there and uncover your true potential!